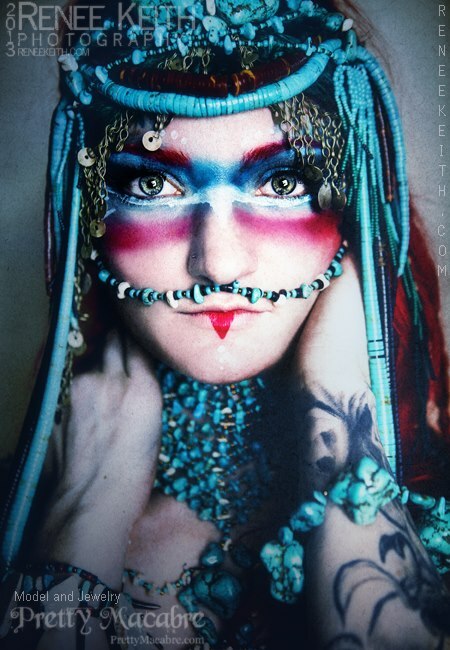 Had so much fun yesterday shooting this tribal inspired piece with the amazing Renee Keith!! 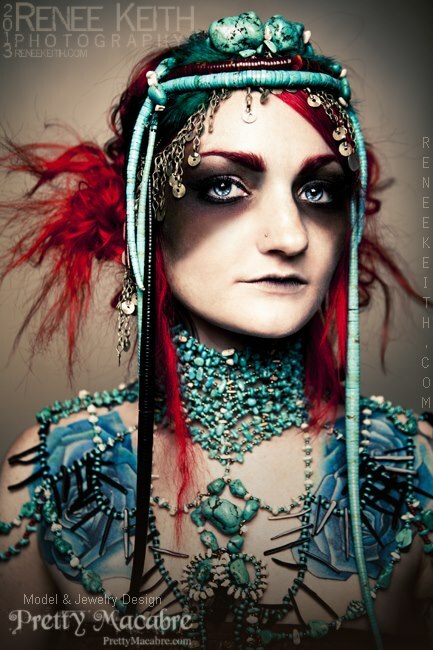 I love that we were able to create two different looks using this same headdress and neck piece! I’ve always been fascinated with Egyptian, Mayan, Aztec, Native American Indian Jewelry and adornments! 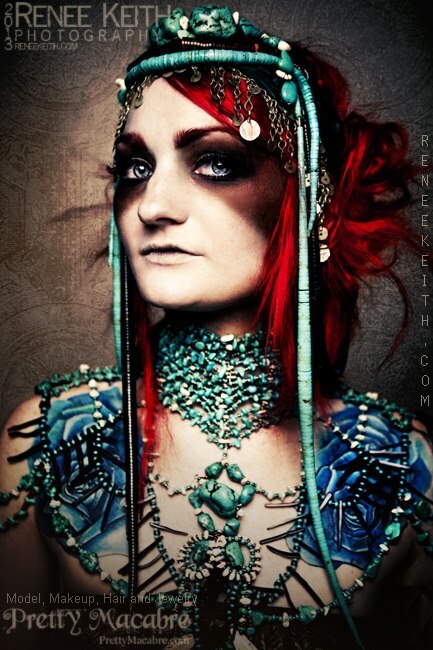 Using handmade jewelry to adorn and beautify the human body. Sometimes representing wealth and power, ritualistic or spiritual significance, magical protection and armor against evil! As for makeup..I did a chalky white skin and a dark smokey pulled out eyeshadow! I wanted it to look dark and sorta dingey/dirty. Renee created a more colorful tribal look on me! Using blue/teal and red with a running white stripe under my eyes and across the nose. The colors made everything pop and I loved the contrast!